When an Orthodox Christian is asked questions about the faith, there is often a hesitation. The questions that come to mind are: “Where do I begin?” and “How much do I try and tell them?” For, in many ways the amount of information includes about 2,000 years of history and an encyclopedia’s worth of teaching, practice and customs. Sometimes, in the middle of such a conversation, the other person’s eyes become dull and a rebuke comes, “I think the Bible is enough.” The drive to simplicity has long been a temptation, and, sadly, has been the source of numerous heresies and distortions of the faith. Perhaps the oldest such “heresy” is that of Islam. Some might protest that Islam is not a Christian heresy, but another religion entirely. However, the Christian Fathers writing at the time of the rise of Islam, clearly understood it to be a heresy. Islam is unintelligible apart from Christianity. Indeed, the Koran mentions Jesus more times than it does Muhammed (surprise!). There are also significant passages concerning the Virgin Mary, including the teaching that she was a Virgin when she gave birth to Christ. From an Orthodox perspective, Islam is best understood as a heretical attempt at simplification rather than a new religion. It is also an understanding that puts most non-Orthodox treatments of the Christian faith in proper perspective. This drive towards simplicity is a common hallmark within almost all deviations from traditional Orthodoxy. No one, it seems, ever wants to make things more complicated than they already are within the tradition! But there’s the rub. The nature of Orthodox tradition is its commitment to the unchanging fullness of the faith. In that sense, the faith is everything. It is not a small set of religious rules and ideas set within the greater context of the world (that is the essence of modern, secularized religion). The faith is the whole world. Rightly spoken and understood, it must account for everything. Of course, it is difficult to speak in the manner of “all things.” We are much more comfortable speaking in reductionist terms, in a manner that reduces our concerns to something tribal and immediate. We are prone to abbreviations. A smaller, almost mechanical God can be presented with much easier suasion. Who wants to be bothered with everything? But this is the task of being Orthodox. “Orthodox” should not be reduced to “correct teaching,” but the “teaching about everything.” This is the actual point of being “correct”; it’s about what is real and true. This is also the reason that Orthodoxy (when rightly spoken) must be silent from time to time. If we don’t know it, there’s no need to say it. Silence is sufficient. Silence should never imply that what is not spoken is unimportant. Indeed, it is so important that saying it incorrectly matters, hence the silence. This aspect of our life is a primary reason that the ultimate expression of evangelical welcome must be, “Come and see.” In fact, you’ll have to come and see and wait patiently. As we make that patient journey, we are joining ourselves with everything, in the great in-gathering that is God’s good will for all creation. I was mulling this over this morning (in somewhat different terms but in the context of discussing Orthodoxy with others)! I came to the conclusion that Orthodoxy is the expression of life and the best explanation I could give to someone is a description of how very long it took me to become a part of the Church. Even when I recognized and sought to become a member (for lack of a better word), the Church took me in slowly; to do otherwise would have been overwhelming. Fullness is difficult to communicate but can be devastating to encounter. I have lately been thinking about various versions of “hyper-Orthodoxy.” I’ve been particularly aware of some who are deeply fascinated with “border” issues: too much toleration for ‘heresy’; extreme care about how converts are received; dangers surrounding the Church, etc. And though such questions have their own validity, the “fascination” with them (fascinans is a word that really means an irresistible attraction), is quite problematic and, I think, symptomatic of a spiritual illness. It is as though correct boundaries is the only thing that creates Orthodoxy. Living always on the boundaries, such personalities never move into the depths. They become fascinated with what is “not” Orthodox and never understand what “is.” The truth cannot be found in what is not. And, in the end, everything will be. I appreciate this, Father. After being received into the Church in 2013, there is still much within the Tradition (including the hymnody) that I find odd. I’m still not comfortable, or at home, with everything in our Faith, which I think, speaks to its fullness. I lead an adult class in my parish. This year we are using Fr. Patrick Reardon’s book Reclaiming the Atonement. Most of the attendees came to the Church as adults after going through catechism which lasts about nine months in my parish. Still I have to proceed slowly to allow people to adapt to the vast difference in what the Church teaches and what they knew previously. It is a reordering of the heart and mind that is difficult complicated by the fact that many times the language used seems the same. By God’s grace several in the class have remarked on that very thing. In a previous parish to the one I serve in now, my Rector was always trying to find and “Elevator Speech” to give to people to counter the ones used by Evangelicals’ I thought it was a futile idea then and now, especially having read your post, I have to say that idea is not only not possible, but it sells the faith short to even try. Imagine living in a foreign country and you visit America. Someone says, “Tell me about your country.” What could you possibly say in an elevator that would be remotely useful? Not much and I could never produce an elevator speech about Orthodoxy either. I took a lot of heat for it because I said it could not be done. I am glad that you share my inclination as well because the more I study and experience in Orthodoxy, the more I realize what a rookie I am and how much I have yet to learn and experience. 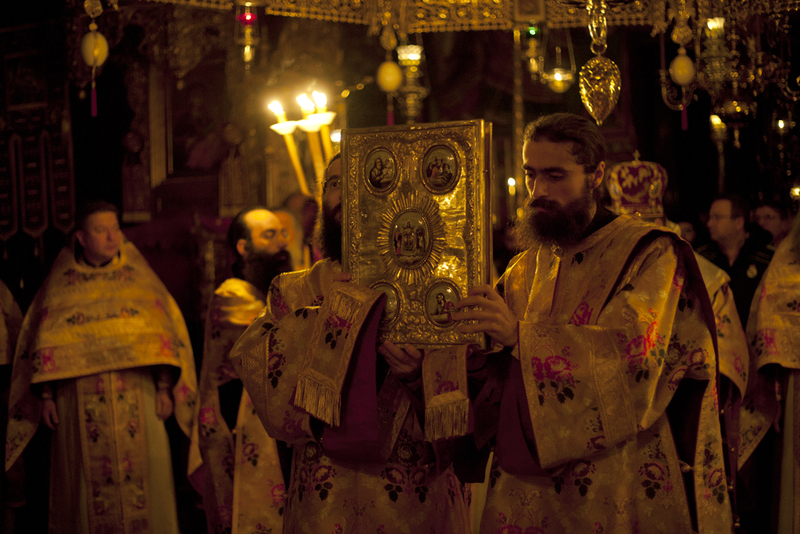 Orthodoxy is an eternally deep well that we can only experience by being immersed in it. I will never plumb its depths in this lifetime, but it is joy to delve into the endless depths. The closest thing to an elevator speech we have is the Nicene Creed. My son took to using the Creed when asked what we believe. Some of the people, he says, have run screaming away at the mere mention of Mary. Most have walked away in confusion. If the person listens all the way through and has more questions my son invites them to come and see. He is comfortable with folks walking away–not intent on “convincing” someone else. Being in a sales business I can assure you that the intent of any elevator speech is to hook folks and begin the sales process. Not exactly what we are about. Heresy is always a reduction of the Truth. Father in a similar vein the answer to your hypothetical visitor might begin with the Preamble to the Constitution. Still, that cannot be understood without the experience of living here and the willingness to grow, learn and change. Father, thank you. My wife and I entered the Holy Orthodox Church in October of 2015; converting from Catholicism. Your article brought great joy as well as deep contemplation. I am just so thankful that both my wife and I heard and were receptive to our Lord and His Mother’s call to Orthodoxy. Father, once again, thank you for putting into words what we intuitively begin to realize as Orthodox in the modern setting, yet may find difficult to describe. Having become active on Facebook only as recently as last August, I had to “share” this post! I share the concern you expressed in your comment to Byron about the snare of getting stuck in a sort of *fascination* with the boundary markers of our faith in a way (its own form of reductionism) that keeps the one so entrapped from beginning to apprehend and embrace the faith in its depths. I am not infrequently tempted by this myself, and so have become sensitized to it. It does indeed seem to me to characterize some of the discussion and writing I have seen online. 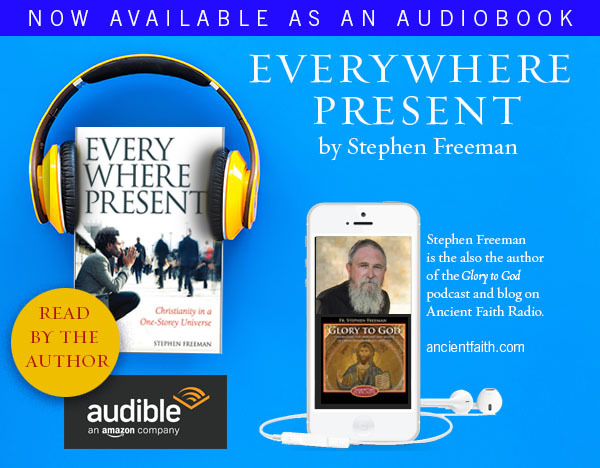 What drove me to the Church in the first place was precisely what you talk about in this post: the Divine direction equally visible in everything in the tradition, rather than the Bible alone. The Divine is active and perceptible in “all things” in the world, and even if not all people in the world understand the message or hear the revelation, God is still trying to open the hearts of all people. This is the only way in which I can reconcile the truths I experienced in the Divine Liturgy with the reality of religious pluralism which I grapple with every day in the city. But it is the doctrine of an “old testament” directed towards a specific “chosen people,” and excluding everyone else in the world, which messed with my head… as a child, it had appeared to me that it was a story of God abbreviating Himself quite cruelly. When the deacon quizzed me on this, I realized I had been so captivated by the teaching of “all things” that I had tricked myself into believing that the Old Testament would just smooth itself over somehow. He told me to come back when I really believed… meaning, as far as I could tell from our interview, to believe that God would choose to deny the world salvation for centuries before He granted it. When I got home, I simply collapsed. Later I called my old Orthodox friend with whom I had had so many good talks, but he hung up on me when I asked about this. I then stopped going to church and unsubscribed from all Orthodox podcasts and blogs except yours, because your writing is so beautiful. So, in any case, I believe it is still reasonable to say that the Bible is at the core of Orthodox faith, rather than everything at once. I realize this comment is very stupid, so feel free to discard it if you like. I just wanted to put it down in words, for myself I suppose. Sorry for the experience. There are so many people from so-many backgrounds that some react perhaps too carefully. I think the Old Testament would be utterly repulsive were it not for the New and the re-reading of the Old through the New. I also think that anyone who can harden their heart to the degree that they are not scandalized by the wholesale destruction of a people at a perceived Divine command, have become delusional in their desire to believe. In Romania, in a number of places, you can see the prophets of the OT juxtaposed to the philosophers of Greece – iconically treated as though they were on a par with one another. That would scandalize some, I suspect. But that it is not only not a scandal in Orthodoxy, but easily painted on the wall of a Church (one case is the outside of the Church) is an important part of Orthodoxy. God is at work bringing all things together into one in Christ Jesus. AM, the confusion and worry you have felt concerning the Old Testament is not uncommon. I still struggle some with it, although not as much as I used to. As Father said, “God is at work bringing all things together into one in Christ Jesus.” This includes the Harrowing of Hell, where he brought Himself (salvation) to those “in the Old Testament” (so to speak). God does not leave us. For myself, I cannot answer every jot-and-tittle in Scripture; I’m not nearly able! But I do think that, if even secular historians and anthropologists do not view the OT as only literal history, then it would be silly for us to try and reconcile a literal accounting with the good God. Please continue to “try to enter the Church” in humility and love for God. I believe the rest will take care of itself. I appreciate your comment above about the boundaries of Orthodoxy. As I’m becoming less-new, I have slowly become aware of strains within the Church that seem familiar to my fundamentalist background. Being reminded of a living fullness seems to correct a tendency toward a dead letter (or dead tradition, as it were). AM for myself I found great reconciliation to the Old Testament by looking at the call of Abraham and the covenent with him. The old covenent was not just for one people but meant to be a blessing to all. I can also say that their are tribes and tribes in my own heart that have to be destroied so that God and His people may enter. Still if I look at what happened to the Hebrew people when they lived next to pagans it is perhaps not so hard to understand. Look at Christians, all of us living in an idolatrous culture. Very hard. I know God’s actions toward me have been nothing but merciful. I have never known God’s wrath. There is something that drastically changed with the Incarnatiin. The Apostolic teaching illustrates that. There is something pagan-like in the worship of the people described in the Old Testament but their is a tremendous continuity as well. Salvation is of the Jews, our Lord says. Ironically while overturning a great many structures of the Jewish Law. You mentioned being asked to get your belief in the OT or in the Church right before coming back? A common prayer for I think most of us is: “Jesus Christ, Son of God, help me in my unbelief–as I profess to believe.” The “Jesus Prayer” which has a few variations goes something like: “Jesus Christ, Son of God, have mercy on my sinful self.” Where “sin” is the distorted belief in Self and resultant despair that accompanies the pride of unbelief. The Church being a hospital for the “unbeliever,” confession, I continually learn, is repenting one’s failing and faltering belief. Essentially, my belief and the ability to believe comes from Christ’s believing “in me.” Believing comes from asking the answers that are contradictions to what we imagine the truth to be. Fr. Constas has said: “Only things that contradict the mind are real, there is no contradiction in what is imaginary.” Belief cannot become without a practice and perfecting of believing. Thank our Great Physician that He does not cast us out for being sick and weak in our faith. Often it is my “right” to answers that impede the questions that belief in Christ rightfully grows on. Maybe believing is most possible within faith learned and is reasoned most impossible without belief tried–and failed. I hope Fr Stephen will correct me if I am simplifying. It seems that the consequence of the fall and sin was for mankind to enter into a barbaric state. God had to find people to work with to achieve the salvation of man. With Abraham he entered into a covenant and the tree that produced people that were responding to God is referred to as “chosen people”. With the passage of time and the maturing of mankind, the full revelation of God took place in Christ’s incarnation, when the time was right, i.e. a person as pure like the Mother of God existed. Christ again chose people capable of responding (the apostles) and the history of mankind is marked by the fact that just a few in every generation align their will perfectly with God’s will. In my view “chosen” means all the people across the generations and nations, that sought God and responded to Him. Having been brought up as an Orthodox I am always amazed to see non Christians and more importantly heterodox converting to Orthodoxy. I consider myself blessed to have known Orthodoxy from early childhood, but I see the converts as “chosen” and glorify God for the wonderful way this happens. As someone who is just beginning my walk into the Church, I find the enormity of Orthodoxy to be a great relief. The fact that the fullness saturates the entirety of the world means that I don’t have to grapple with a compartmentalized faith anymore. Though a novice, I know Christ is present in all aspects of my life. So, I can relax, while accepting my smallness, and have joy in the journey instead of trying to find connection and application of faith, and subsequently dysfunctional justification, continually. “Come and see” is such a wonderful invitation! Once again, this has left me smiling. When I was new to the Church, my God Father told me that the Church was inexhaustible. I would never come to the end of it. There would always be more so that any questions I had, there was an answer somewhere. Don’t be afraid to ask. I nodded like I knew what he was talking about. Thirty years later, I am beginning to get an inkling of what he as talking about. The answer to some questions however can only be understood after one is received and is part of the Body. Even then the answers continue to unfold within with greater depth and clarity. Ditto, Larry Jones. Exactly the way I felt, and continue to feel, entering the Orthodox Church. Thank you Father Stephen for yet another highly edifying post. It is perhaps for the reason of the perception of All Things that the ‘Modern’ account of existence which is so utterly reductionist is so at odds with the Faith. Recently I have taken to using the phrase Christian Existence rather than Christian Faith, for it seems to me that either our faith is Everything, or it is ‘just’ an idea . . . Recently I was very blessed to meet here in New Zealand a Romanian Orthodox family whilst I was on retreat. it was a most blessed time as we shared in something of that fullness. They are now resident in England but expressed their concern about how ‘Modern’ thought was impacting their homeland. Briefly, and further to my comment above, I am reminded of CS Lewis’ The Great Divorce’ and his account of ‘heaven’ or perhaps better Reality, which was simply Too dense and Real for those who visited from the place of non-existence. There is perhaps something here as regards attempts to ‘simplify’ which are perhaps revealed as flight from God?? I was looking for a place to ask a question about a particular issue and I hope I make sense. Many of the members are cradle although we have had a few converts including my family over the years. Although I converted from the Episcopal church I spent a number of years in the Charismatic movement. I cannot deny that these folks are really practicing their faith. Most here have never heard of the Orthodox church. I am just never clear on how to approach it especially when we are often invited to these other services with what seems like an attempt to convert us. I know this is long, forgive! 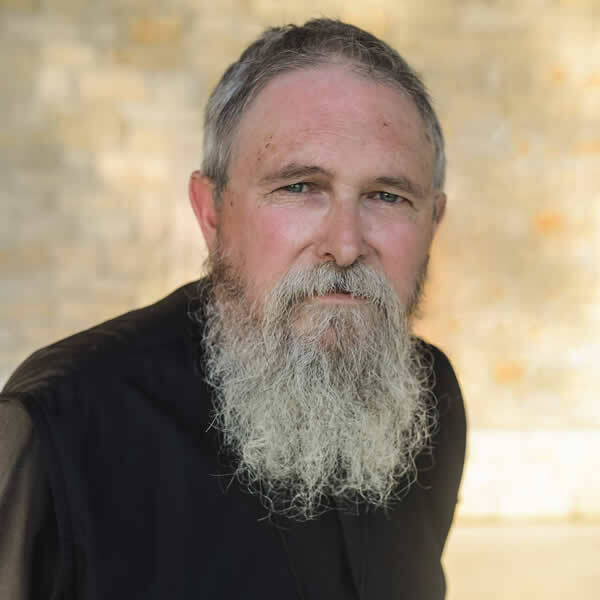 Father Stephen, forgive me for the necrobump but I have a question about your comment on fascination with “border” issues. As one who is temperamentally very conservative, I know that I am naturally fixated on defining and maintaining borders between things, be it between the food on my plate, movement of people and goods between countries, or differences between religious traditions. Being raised a confessional Lutheran, their theology fed very well into my temperament—there’s much concern there with adhering to the confessions and defining exactly what issues do and do not break communion between churches. Anyway, I was wondering if you had any advice on how to control this tendency of mine. Thanks.